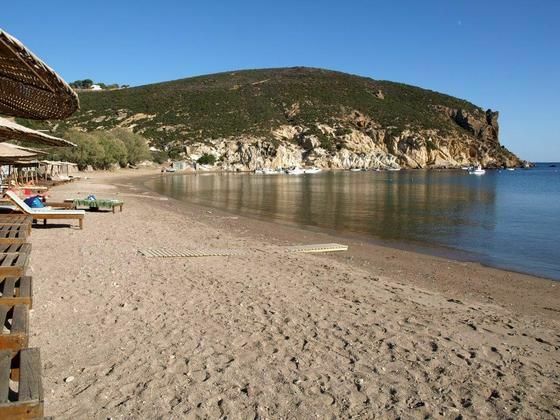 Kampos is the most popular beach in Patmos. It is long, organised, with shingles, clear waters, trees for shade and water sports facilities, such as canoeing, windsurfing etc. 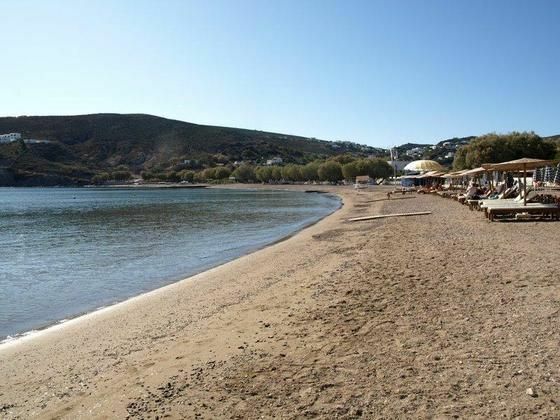 It is located apx 11 kilometres north of Patmos Town (Chora), 4 km from Sala (port), further NE from Agriolivado, and 600 m downhill from the so named village village. 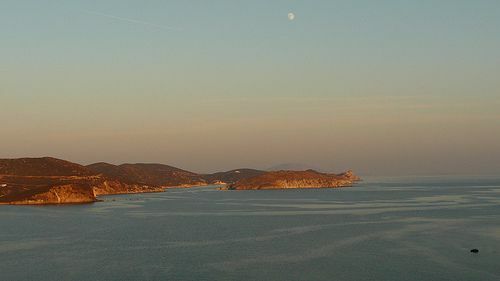 There are plenty of hotels, tavernas and cafe, close to the beach, whereas gardens and vineyards reach up to the water’s edge. 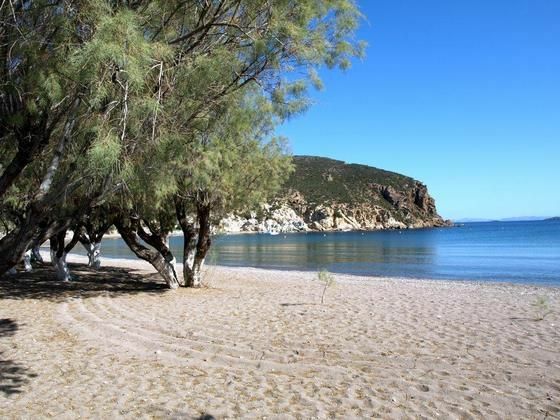 The bay is protected from the meltemi, with clean and shallow waters, perfect for children. A large car park is very close to the beach, just off the main road. The western part is more sheltered and has umbrellas and sunbeds. There is a large watersports' tent in the middle of the beach. The eastern part is far quieter and has a small jetty for little boats. 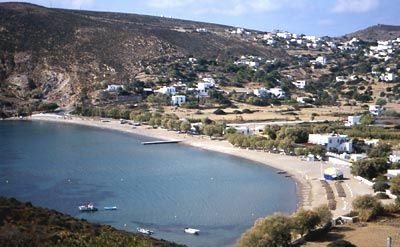 The road passing behind the beach, leads up to the village of Epano Kampos (the third largest in Patmos). It has a central square with a nice church (Evangelismos) and a picturesque taverna, under a big tree. ANCHORING INFO: Kampos bay is well protected from the Meltemi (N/E winds) but has strong gusts. It is open to S and S/E winds. SEA BOTTOM - HOLDING: Weedy sea bottom but with some patches of sand. Be sure to drop your anchor on one of them. 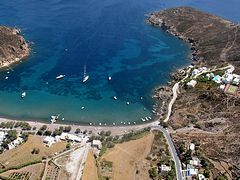 Attractive surroundings, with watersports, tavernas and other facilities. A small jetty for smaller boats and tendres is provided.